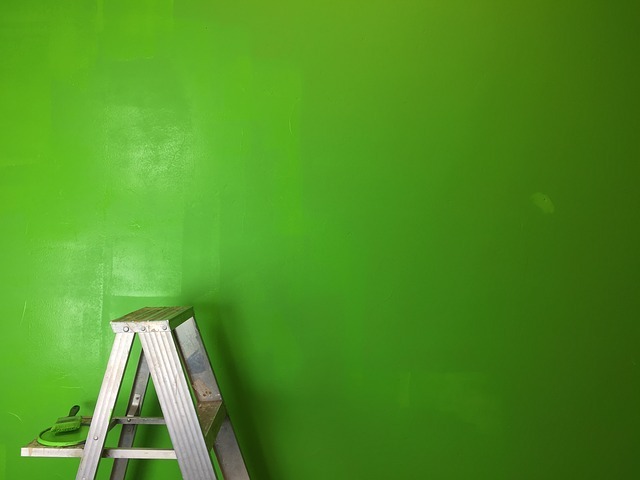 CosmoBC.com » HomeBlog » Decoration » What To Look For When Hiring A Painting Contractor? Getting your home transformed amazingly is something that could be achieved with the use of attractive interior and exterior paints. Getting the right paint in accordance with your personality will symbolize your choice; the thing is to know that which paint would do the best with your interior designs and all. Hiring a painting contractor will be a safe play as he/she will have years of experience in the same field and they will provide you with the project that you have ever dreamt of. Hiring a painting contractor is very important and choosing the right painting contractor will help your house or building look marvelous, the thought of hiring a painting contractor comes to mind when you are about to prepare a new building or renovating a new one. It is important to look out for a painting contractor who has at least two years of experience. You can also ask the painting contractor to show their previous painting projects. The painting contractor you are hiring must have years of experience. If not, he must have minimum 2-3 years of experience. The experts are very loyal towards their work, and they definitely do not want to lower their goodwill in the market. They work in a manner that they are in profits and also satisfy the customer. The consumers or the customer satisfaction is their main motive, only if the customer is satisfied, they can get more people joining them. Experienced painting contractors know that what color will go right in accordance with the pattern and the design of the house. These contractors have the ability to tackle the problems at a time and manage their work in the given time. They are very smart in terms of their work as they have the qualification like that. Before trying your hands on something that is totally a new concept for you, you better check if the painting contractor you are hiring is licensed or not. If the contractor is reputed and well educated, he must have licensed his company. Choosing the right contractor is very important in order to avoid future headaches. Licensing is important for every business as it proves that the contractor is safe and we are hiring someone who will not betray us. The right painting contractor will get its company registered in order to be safe and to keep the employees safe. A painting contractor that you will hire must be qualified; you can also ask him for his qualification and other related details. If the contractor is qualified, he would have the licensed papers with him. A cheap painting contractor will ignore the fact that the preparation is needed to the cut corners and on the other hand you will see a good contractor who will explain all the prep work to you and at the end you yourself will get to know that you are hiring a good or bad painting contractor. A good contractor knows the importance of the things and values them in all the ways. He will understand you and will design the house in a way that you have imagined. The workshop always speaks for itself and with the quality of work which the painting contractor will provide you can see that right in front of your eyes. If you are looking for the best painting contractor Denver Colorado painting, you should search all the possible options. Preparation means to start or to plan something before starting the work. A good painting contractor will discuss all the things with you. The painting contractor you are hiring must be knowledgeable enough to understand your needs and paint the house according to you. He should have exact knowledge of designs, patterns and color combinations at the same time. If you hire the experienced contractor, he will have depth knowledge of the color schemes. He will have all the latest tools and equipment related to the paint; you can also ask him to paint according to the idea that you have in your mind. The painting contractors have the perfect knowledge about their stuff, and they are experts in their field. They can tackle and solve all the last-minute problems, and they have such a sense of humor to think from the diverse levels. A good painting contractor will provide you the guarantee on their work, they have an amazing way of working, and they are well aware of the products that they will be using. Some of the contractors provide a warranty along with the guarantee. If you are hiring a good contractor, he will give the best of his work and dedication to your project. The contractor might ask you a large amount, but he will definitely give the work that will be lavishing and leave a long-lasting impact on your eyes as well as the mind. He will assure you that the work he has provided is the best and you do not have to worry about the future headaches as he will not let that happen. Surety is the key to trust, and they give the surety of their work as customer satisfaction is their prime focus. There are many painting contractor companies that in the market and it becomes confusing as all their offerings sound the same and you as a customer have the right to choose the best according to your budget and all. You can check the online ratings of the contractor and follow its existing clients in order to collect some important information from them. The best contractors make sure that the customer is satisfied with their work. Hope the above post was helpful to you, you can check out other posts related to the same topic if you are looking for more information.